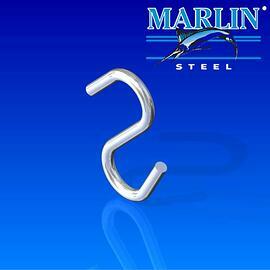 By using advanced manufacturing robots, Marlin Steel can precisely bend custom hooks for numerous applications with ease. For each application of an "s" hook, it is important to consider several factors, such as how much weight the hook will have to hold, the shape of the objects that the hook will be attached to, and the chemicals that it will be exposed to. 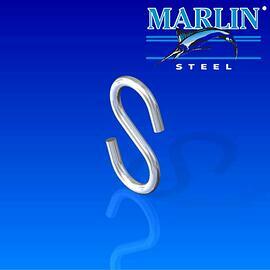 Marlin Steel's engineers are well-versed in dealing with these design challenges. 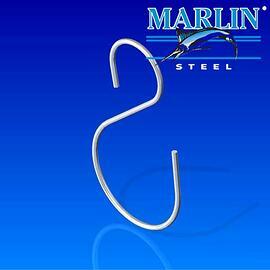 Check out our wire forms page to see other styles of hooks. 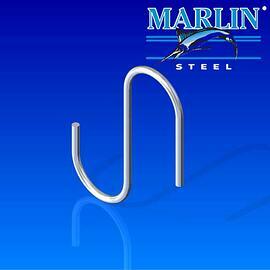 Marlin engineers and designs custom S Hooks in stainless, galvanized or plain steel according to customer specifications. 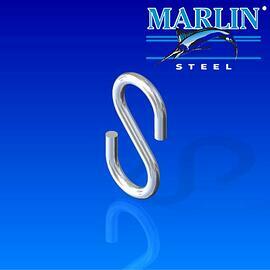 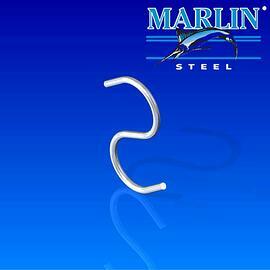 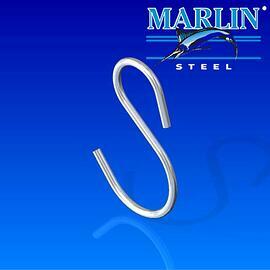 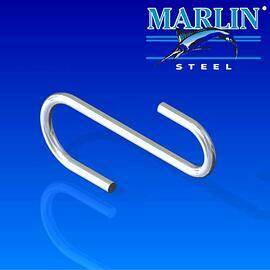 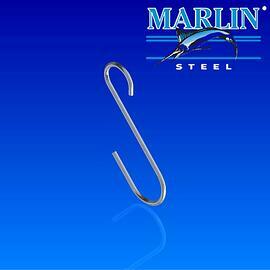 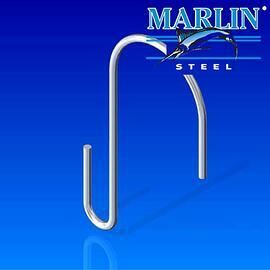 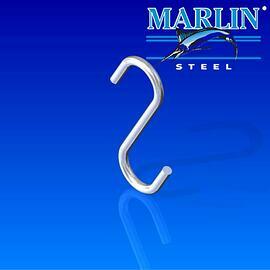 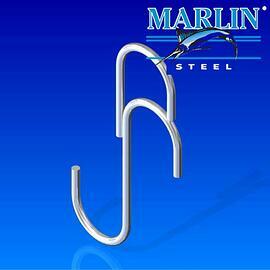 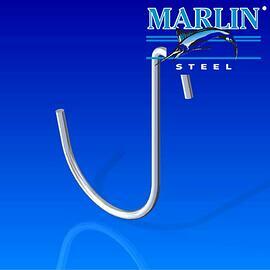 Marlin Steel has been making custom hooks for commercial and industrial applications for more than 35 years. 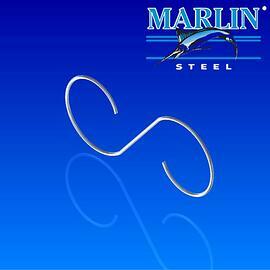 In fact, we consider custom hooks our "sweet spot," as we have three dedicated hook-making robots which run 24 hours per day in our Baltimore factory. 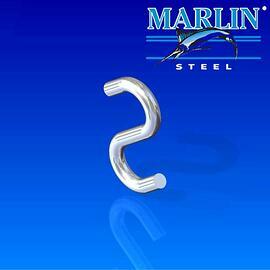 We start by designing the hooks to the customer's specifications, in two or three dimensions and in wire diameters from 0.06" to 0.625" thick. 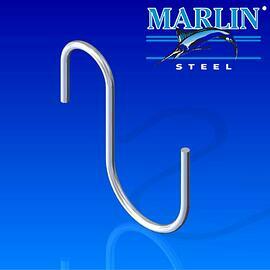 After customer approval of our CAD drawings, we can make the hooks in plain, galvanized or stainless steel. 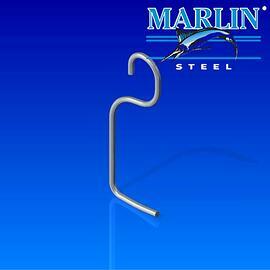 We can also coat the hooks with powder coat, urethane, polyester, polyolefin, plastic coat, kynar, halar, nylon or teflon. 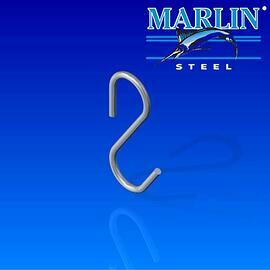 Shipping of the completed hooks can be as fast as next day after design approval for new designs, and even faster for existing designs, depending on the quantity. 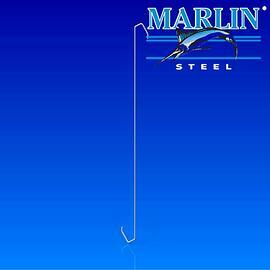 We have many existing designs for you to choose from, so fax (410-644-7457) a sketch/drawing of what you need or contact us. 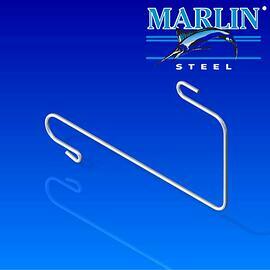 You can also check out the designs above to see if they match your needs. 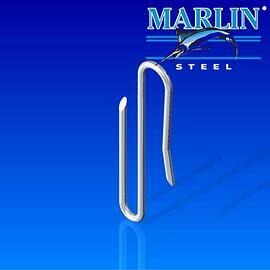 Submit your custom hook requirements and a Marlin Steel employee will get back to you with a quote / more information.